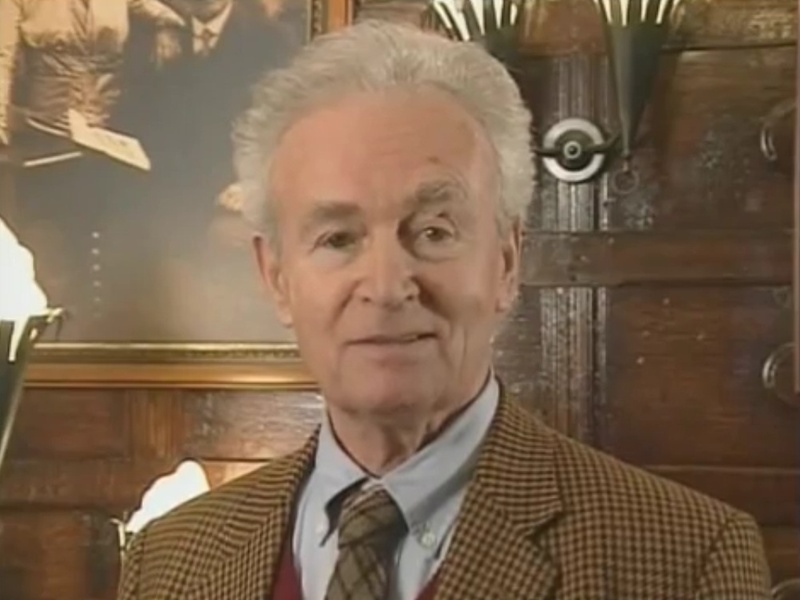 Ian Chesterton was the Doctor’s first male companion and a science teacher at Coal Hill School. The training of his discipline made him particularly sceptical of the Doctor’s claims when first they met. Some of Ian’s best dialogue was in the early days of Doctor Who when he found the belligerence of the old git almost unbearable. Join the Doctor Who Mind Robber as we explore 10 of Ian’s best moments. Ian Chesterton: But it was a Police Telephone Box. I walked right round it. Barbara, you saw me. The Doctor: [to Ian] You still think it’s all an illusion? Ian Chesterton: I know that free movement in time and space is a scientific dream I don’t expect to find solved in a junkyard. The Doctor: Your arrogance is nearly as great as your ignorance. The Doctor: You don’t understand, so you find excuses. Illusions, indeed? You say you can’t fit an enormous building into one of your smaller sitting rooms? The Doctor: But you’ve discovered television, haven’t you? The Doctor: Then by showing an enormous building on your television screen, you can do what seemed impossible, couldn’t you? The Doctor: Not quite clear, is it? I can see by your face that you’re not certain. You don’t understand. And I knew you wouldn’t! Never mind. Ian Chesterton: Let me get this straight. A thing that looks like a police box, standing in a junkyard, it can move anywhere in time and space? Ian Chesterton: But that’s ridiculous! Susan Foreman: We’ve left 1963. The Doctor: Oh, yes, undoubtedly. I’ll be able to tell you where presently. Zero? That’s not right. I’m afraid this yearometer is not calculating properly. Hm! Well, anyway, the journey’s finished. The Doctor: What are you doing down there? Barbara Wright: What have you done? 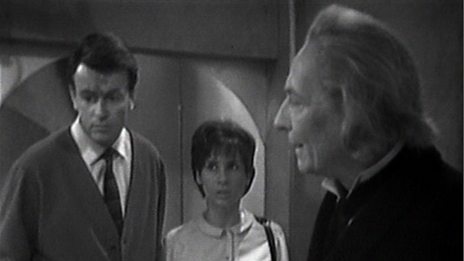 Ian Chesterton: Barbara, you don’t believe all this nonsense. 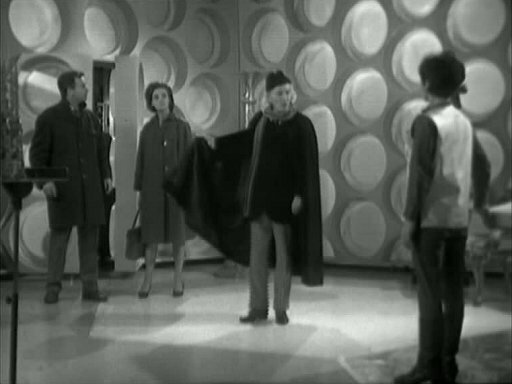 Susan Foreman: Well, look at the scanner screen. The Doctor: Yes, look up there. They don’t understand and I suspect they don’t want to. Well, there you are. A new world for you. Ian Chesterton: Sand and rock? The Doctor: Yes. That’s the immediate view outside the ship. Barbara Wright: But where are we? Ian Chesterton: You mean that’s what we’ll see when we go outside? 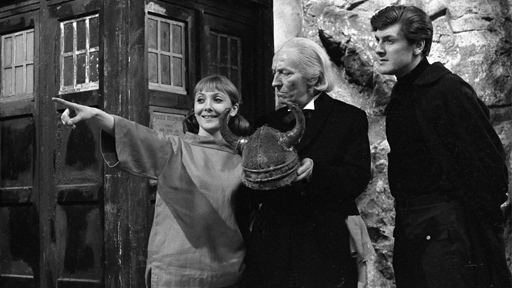 Susan Foreman: Yes, you’ll see it for yourself. Ian Chesterton: I don’t believe it. The Doctor: You really are a stubborn young man, aren’t you? Ian Chesterton: All right, show me some proof. Give me some concrete evidence. I’m sorry, Susan. I don’t want to hurt you, but it’s time you were brought back to reality. 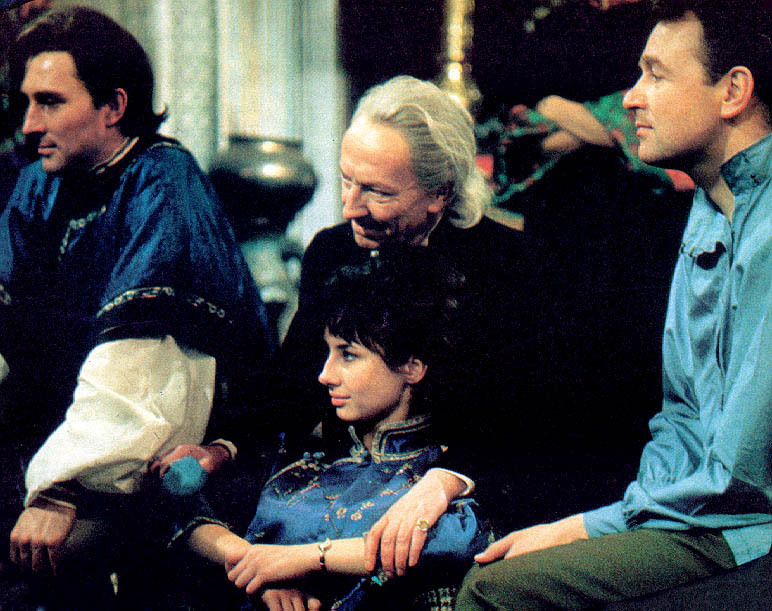 Susan Foreman: But you’re wrong, Mr. Chesterton. 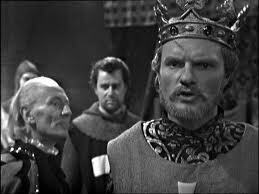 The Doctor: They are saying I’m a charlatan. What concrete evidence would satisfy you? Hmm? 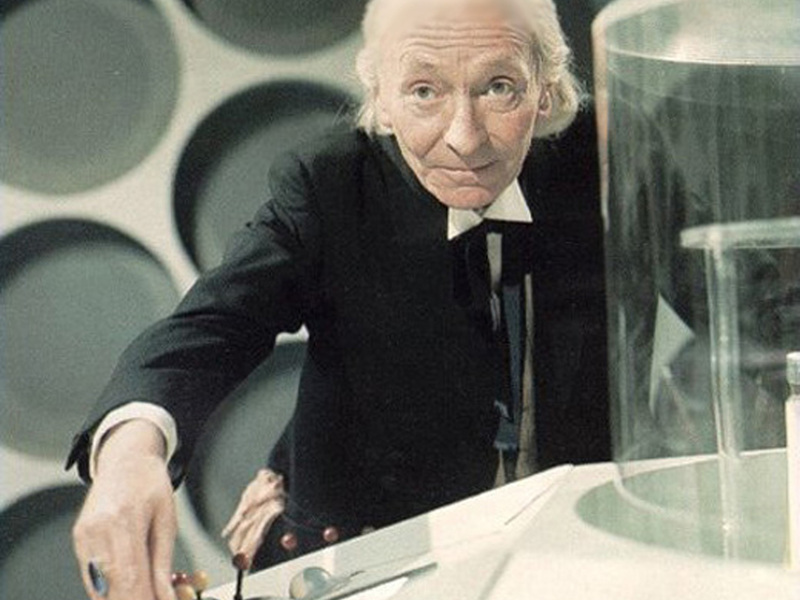 Ian Chesterton: Just open the doors, Doctor Foreman. The Doctor: Eh? Doctor who? What are you talking about? Ian Chesterton: Just a minute. You say we’ve gone back in time? The Doctor: Yes, quite so. Ian Chesterton: So that when we go out of that door, we won’t be in a junkyard in London in England in the year 1963? The Doctor: That is quite correct. But your tone suggests ridicule. Ian Chesterton: But it is ridiculous. Time doesn’t go round and round in circles. You can’t get on and off whenever you like in the past or the future. The Doctor: Really? Where does time go, then? Ian Chesterton: It doesn’t go anywhere. It just happens and then it’s finished. Barbara Wright: You’re very quiet. 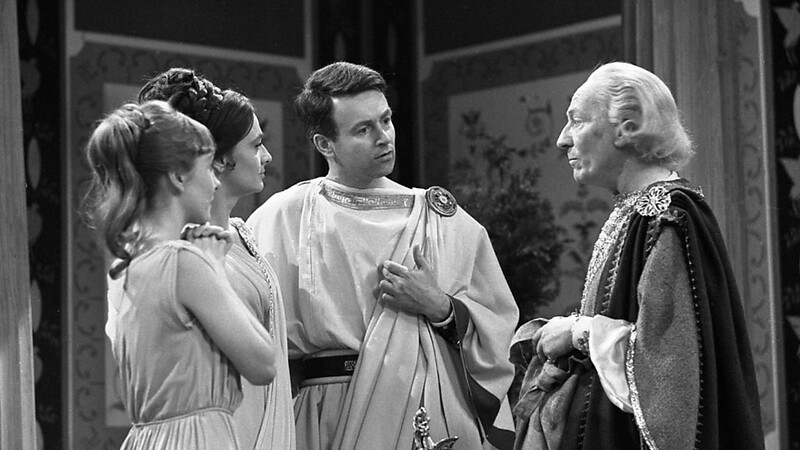 Ian Chesterton: I was wrong, wasn’t I? Ian Chesterton: That’s not his name. Who is he? Doctor who? Perhaps if we knew his name, we might have a clue to all this. The Doctor:: You seem to have elected yourself leader of this little party. Ian Chesterton: There isn’t time to vote on it. The Doctor:: Just as long as you understand that I won’t follow your orders blindly. 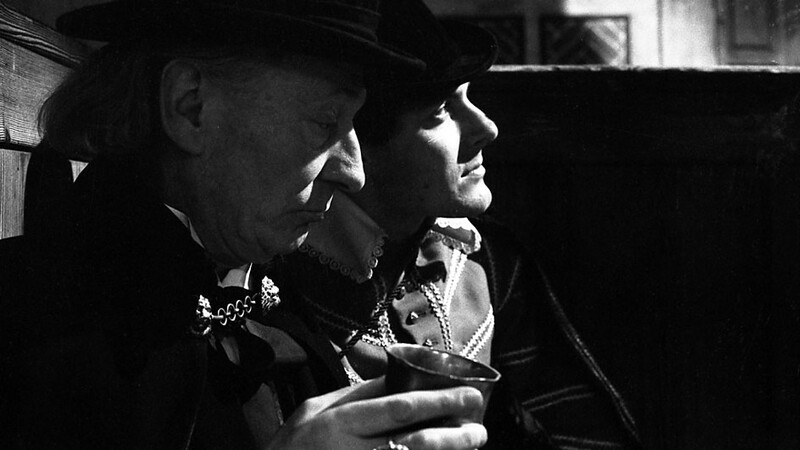 Ian Chesterton: If there were only two of us, you could find your own way back to the ship. The Doctor:: Aren’t you a tiresome young man? Ian Chesterton: And you’re a stubborn old man. But you will lead. The girls in between and I’ll bring up the rear. Because that’s the safest way. 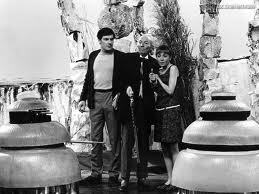 Dalek: You will move ahead of us, and follow my directions. This way. Immediately! I said immediately! Ian Chesterton: My legs! My legs! Dalek: Your legs are paralyzed. You will recover shortly, unless you force us to use our weapons again. In that case, the condition will be permanent. 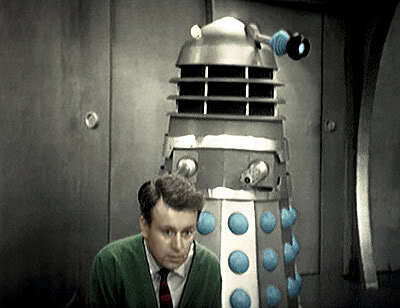 Dalek: You too, help him. Ian Chesterton: My legs, my legs. I can’t use my legs! The Doctor: We need… We need drugs to be treated. Ian Chesterton: But where are we going to find them? Susan Foreman: The TARDIS will have to take us to another time and place, where we can be cured. 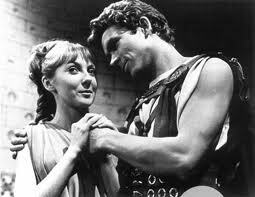 Ian Chesterton: But don’t you remember? 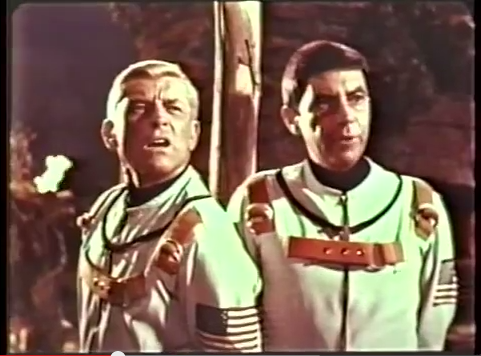 We can’t move the ship until we find the mercury for the fluid link! 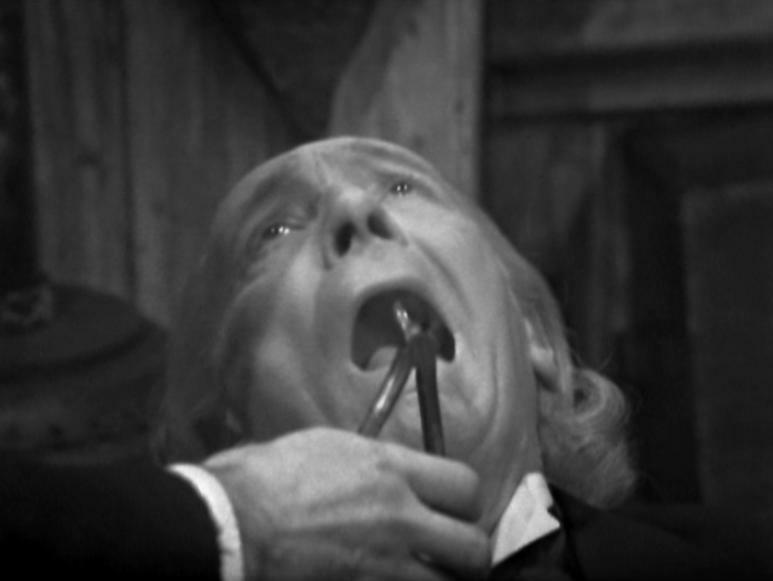 The Doctor: For the fluid link, yes. Yes, I’m afraid I cheated a little on that. I was determined to see the city, but everybody wanted to go on, and well, to avoid arguments, in short, there’s nothing wrong with the fluid link. Susan Foreman: What? Grandfather, do you mean to say that you risked leaving the ship just to see this place? Ian Chesterton: You fool! You old fool! 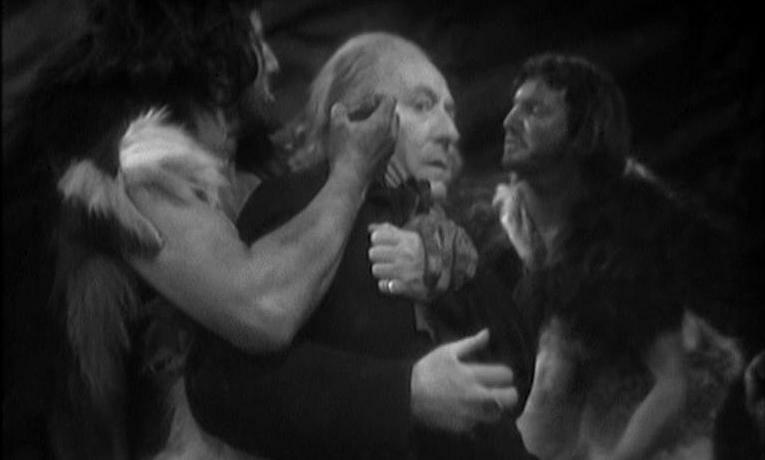 The Doctor: Abuse me as much as you like, Chesterton. The point is… we need an immediate return to the ship, and I suggest we leave at once. 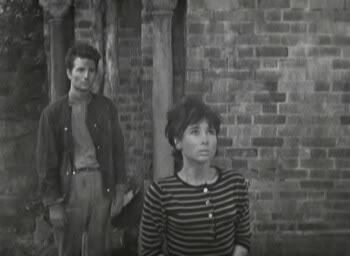 Ian Chesterton: We’re not leaving until we’ve found Barbara. The Doctor: Very well. You may stay and search for her if you wish, but Susan and I are going back to the ship. Now, come along, child. The Doctor: All right, carry on, fine. How far do you think you’ll get without this. The Doctor: Give that to me! Ian Chesterton: Not until we’ve found Barbara. The Doctor: Give it to me I say! Ian Chesterton: No. It’s time you faced up to your responsibilities. You got us here. Now I’m going to make sure you get us back. Ian Chesterton: We’re wasting time. We should be looking for Barbara. 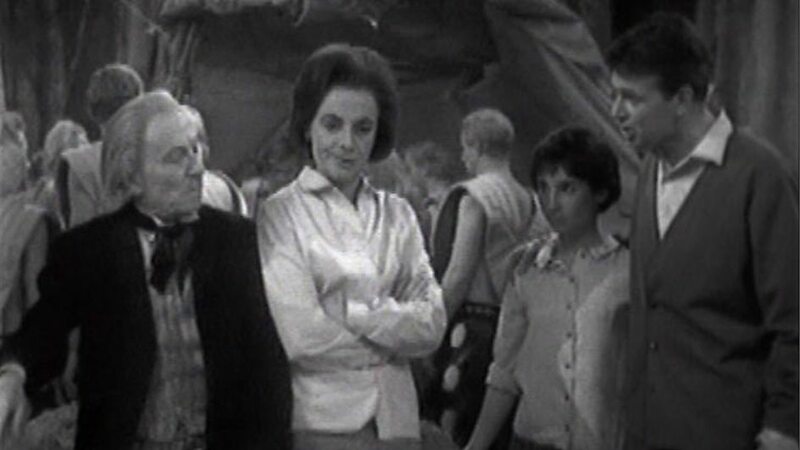 Susan Foreman: He’s right, Grandfather. We are wasting time. The Doctor: Child, if only you’d think as an adult sometimes… Oh, very well, very well. Let’s go, then. Let’s go. 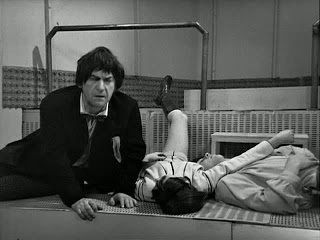 The Doctor: I’m afraid my little trick has rather rebounded on me. What you might call tempting providence, Chesserman. 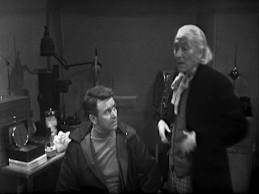 Ian Chesterton: Well, don’t worry about it now, Doctor. It’s happened. The Doctor: Yes. Well, at least you’re not vindictive. Ian Chesterton: Well I will be if you don’t get my name right. The Doctor: Yes, I know that. Léon Colbert: Now be sensible. Save yourself from the guillotine. Ian Chesterton: You wouldn’t believe my story anyway. Léon Colbert: Suppose you let me be the judge of that. How did you get to France? Ian Chesterton: You really want to know, eh? Ian Chesterton: Oh yes, it’s the truth all right. Léon Colbert: You swear it? Ian Chesterton: Yes, I swear it! I flew here with three friends in a small box. When I left England it was 1963. The Doctor: Our lives are important, at least to us. But as we see, so we learn. 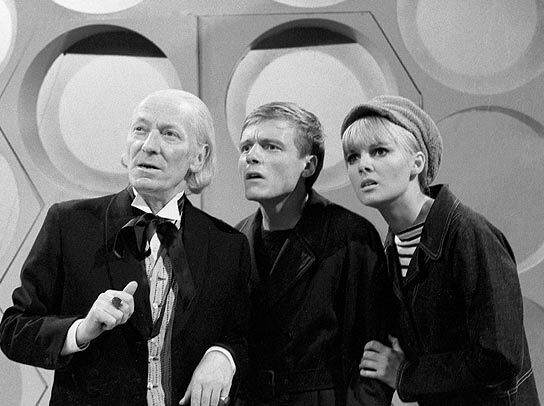 Ian Chesterton: And what are we going to see and learn next, Doctor? The Doctor: Well, unlike the old adage, my boy, our destiny is in the stars, so let’s go and search for it. Ian: I’ve got a friend who specialises in trouble. He dives in and usually finds a way. I’ve seen a colony of ants eat their way right through a house. That size, they could eat their way through a mountain. Why are they that big? (Ian is knighted by King Richard of England). Richard the Lionheart: [tapping his sword on each of Ian’s shoulders] In the name of God, St. Michael, and St. George, we dub you Sir Ian, Knight of Jaffa. Arise Sir Ian and be valiant. 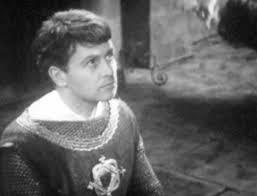 Ian Chesterton: I am Sir Ian, my lord, Knight of Jaffa. I know this villain’s treachery… and hearing that you were looking for him, I followed you. 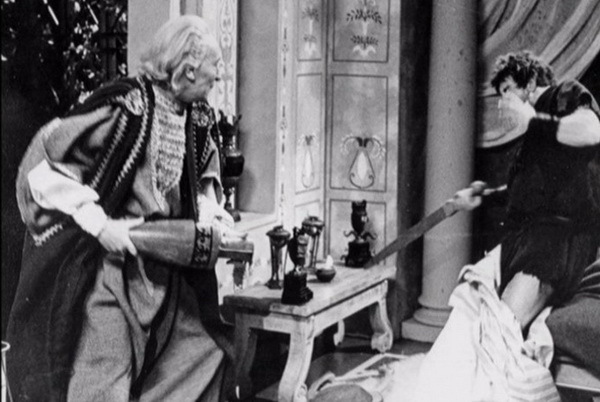 Ian Chesterton: …Any more cracks about knighthood, and I’ll carry out that execution! The Doctor: Well, my dear boy, I must say I think you’ve earned a good knight’s sleep! 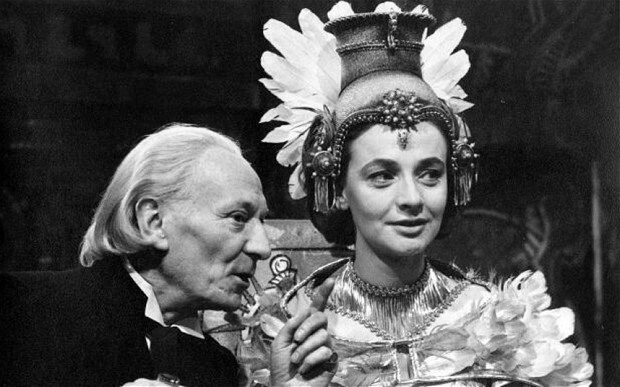 A Special Edition of The Aztecs was released earlier this year which included an abridged reconstruction of Galaxy 4, together with episode three which was recovered in 2011. 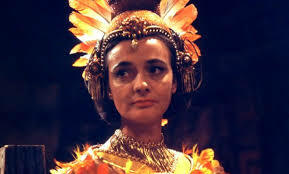 The Aztecs has long been held in high esteem by fandom and is a superb example of the historical dramas that the BBC has always brilliantly produced. Set in South America during the time prior to Spanish settlement, the serial tells the story of Barbara’s determination to change history. In a quest to satisfy her penchant for bracelets, Barbara donned a snake bangle discovered not long after the party disembarked from the TARDIS. Mistaken by the locals as the reincarnation of the high priest Yetaxa, her extraordinary knowledge of history and modern sense of morality naturally saw her rile against human sacrifice. From the beginning the Doctor’s objective was to ensure that history was not rewritten. 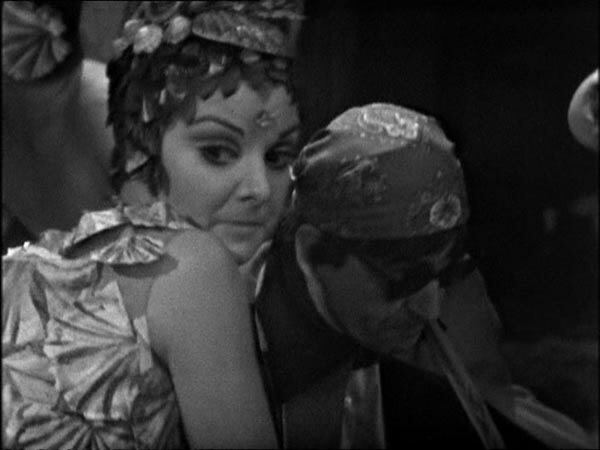 This was the first serial in which the parameters of “fiddling” with time and space were examined. 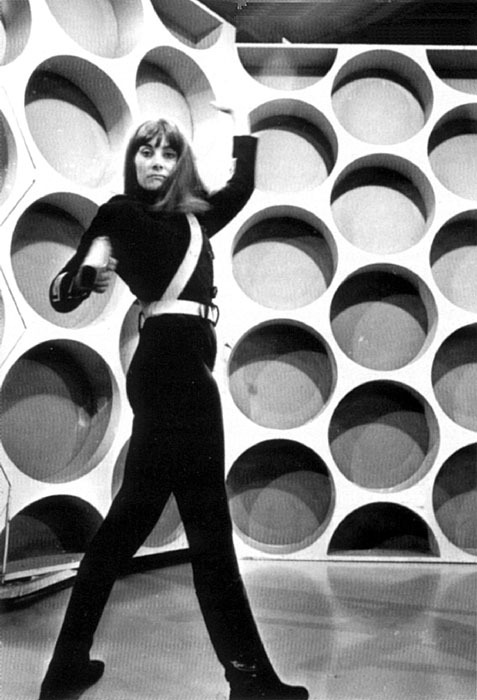 Barbara’s refusal to conform to the Doctor’s direction that “time can’t be rewritten. Not one line” very nearly had fatal consequences for the Crew. 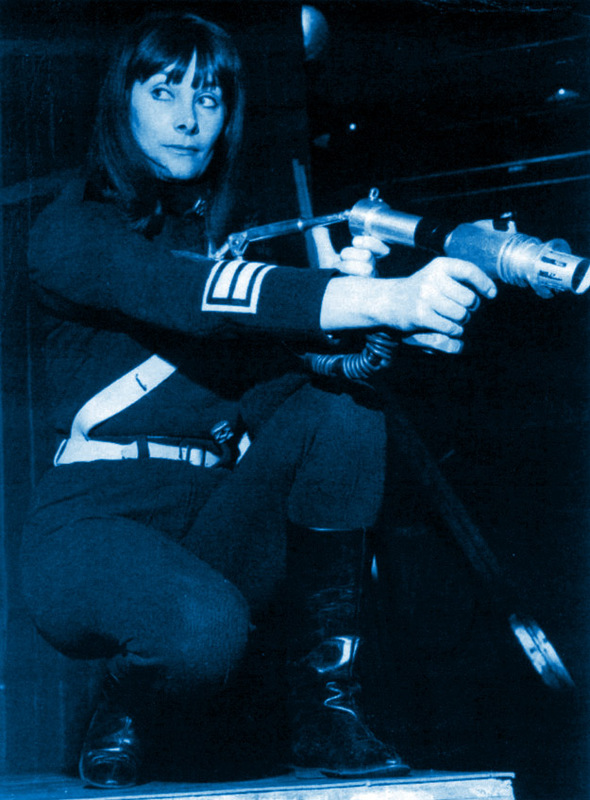 Henceforth there would be limits on the TARDIS Crew’s actions. 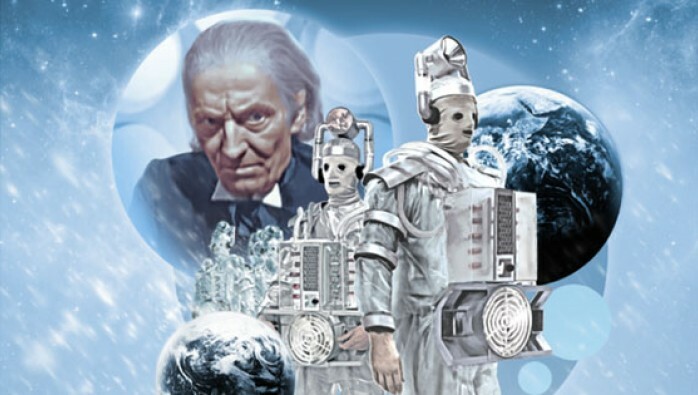 The First Doctor’s final story, The Tenth Planet heralded a number of firsts – Doctor Who’s first regeneration, the introduction of the Cybermen and the prototype for the Second Doctor’s “base under siege” formula. 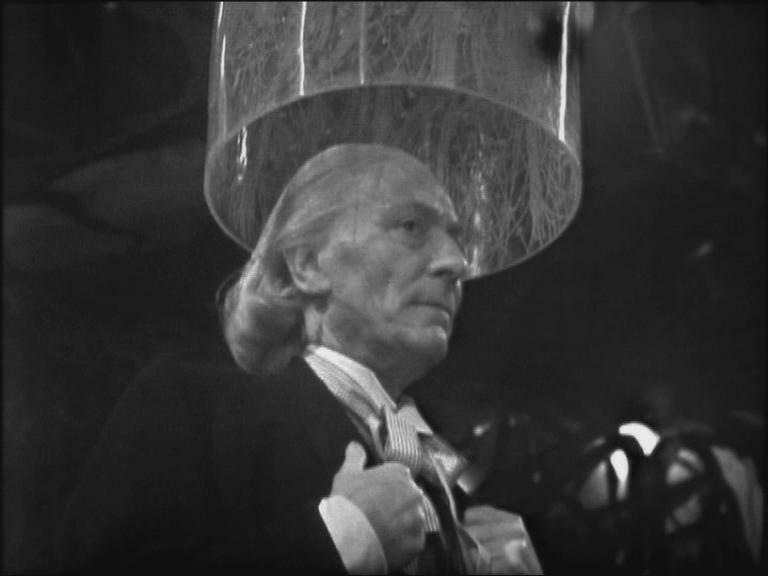 Rumours abound that the missing fourth episode, which features William Hartnell’s regeneration, has been recovered. The DVD of the story has recently been released featuring an animation of episode four. I wonder if a Special Edition, with the (alleged) recovered episode four, should be expected soon? 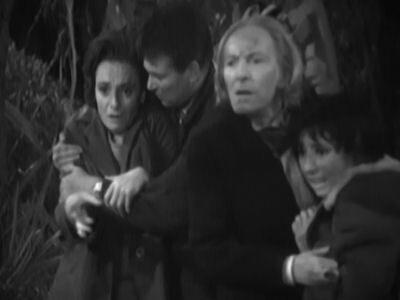 The Massacre is completely missing from the BBC Archives, although some of the current missing episode rumours suggest that it has been recovered. Set in 1572 France, the serial chronicles the Doctor and Steven’s adventures during the Massacre de la Saint-Barthélemy (the St. Bartholomew’s Day Massacre) in which thousands of protestant Huguenots were massacred in a religious war lead by Roman Catholics. 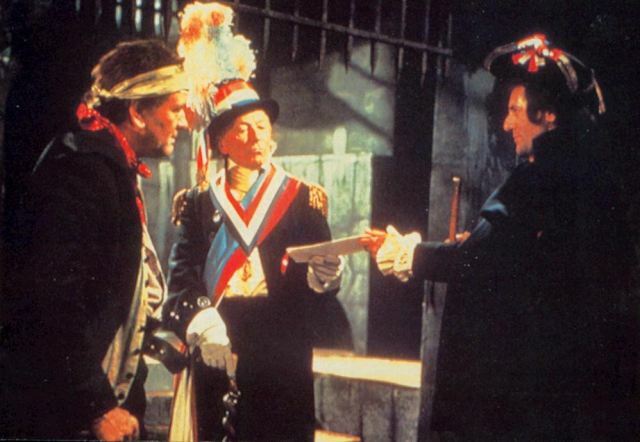 William Hartnell plays two roles in The Massacre – both the Doctor and the Doctor’s evil doppelganger, the Abbot of Amboise. As this is a historical drama it can almost be assured that the set design and costuming was brilliant. 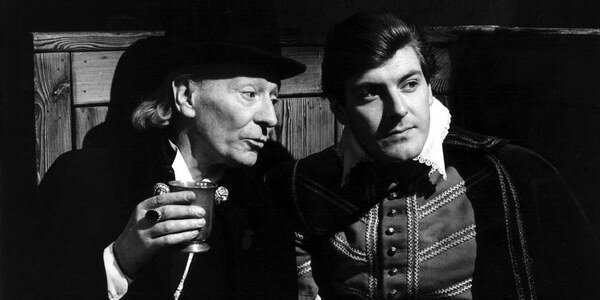 The story is the only example in monochrome Doctor Who of a single companion accompanying the Doctor. 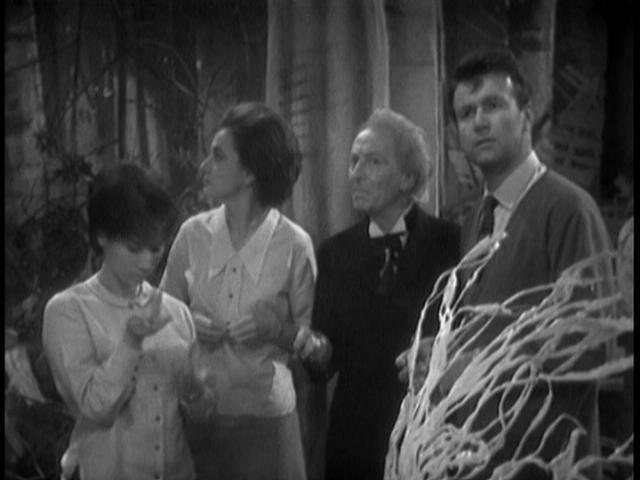 It also introduces new companion, Dodo Chaplet, in the last 10 minutes of the final episode. 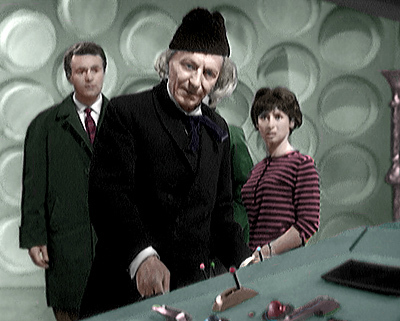 The first Doctor Who serial, An Unearthly Child introduced the strange adventures of a belligerent old man, the Doctor, and his grand-daughter, Susan Foreman. 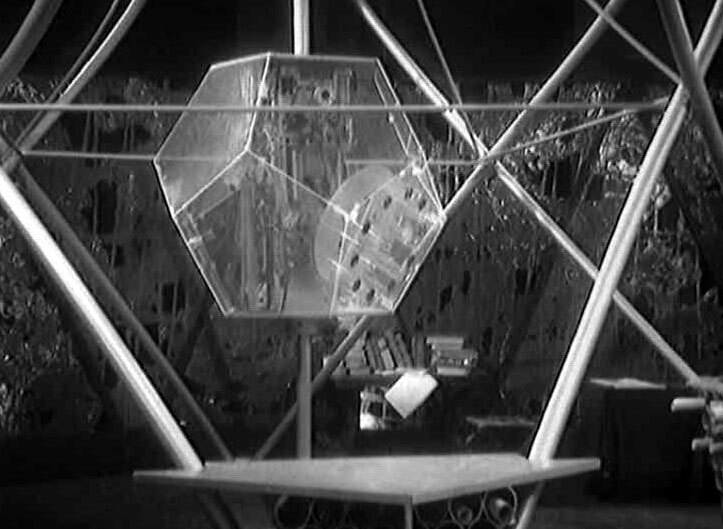 Possessed of a time machine which externally resembled a Police Call Box, the Doctor’s Ship was larger on the inside and capable of both time and space travel. 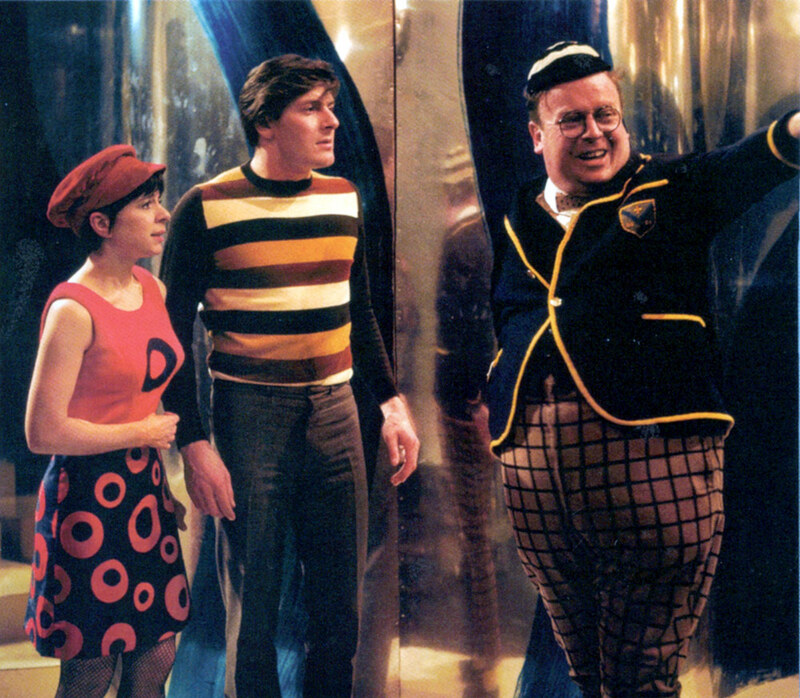 Coal Hill school teachers, Ian Chesterton and Barbara Wright, barged their way into the TARDIS (an acronym for Time and Relative Dimension in Space) whilst looking for their student, Susan. Fearful that the teachers would reveal his secret, the Doctor kidnapped the pair as the TARDIS was seen to dematerialize for the first time. 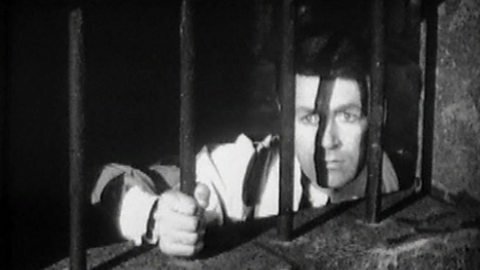 Episodes two, three and four of the serial are more properly known as The Cave of Skulls, The Forest of Fear and The Firemaker. 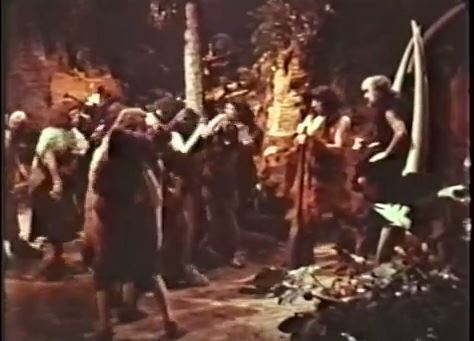 The Doctor, Susan and their two unwilling companions find themselves in pre-historic times and at the mercy of a tribe of cavemen who have lost their knowledge of fire making. 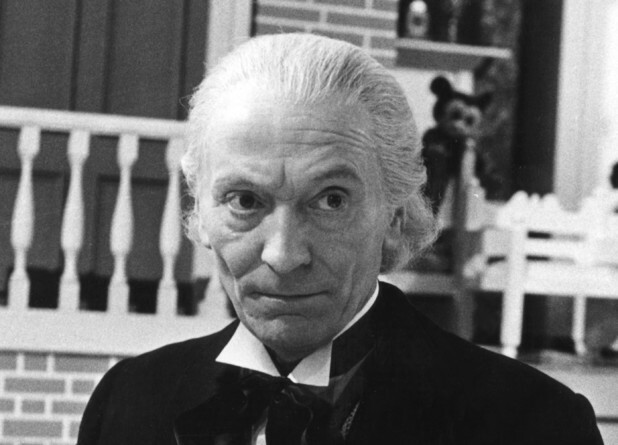 I’m going out on a limb here nominating a completely lost seven part serial as the Top First Doctor story. As outlined in our post Missing Episodes – Has Marco Polo Been Recovered? last week, I wouldn’t be at all surprised if this classic serial has been recovered and restored, and finds its way onto the iTunes playlists before Christmas. 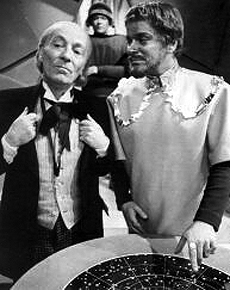 The fourth Doctor Who story, Marco Polo was directed by Waris Hussein who was also responsible for the first serial, An Unearthly Child. 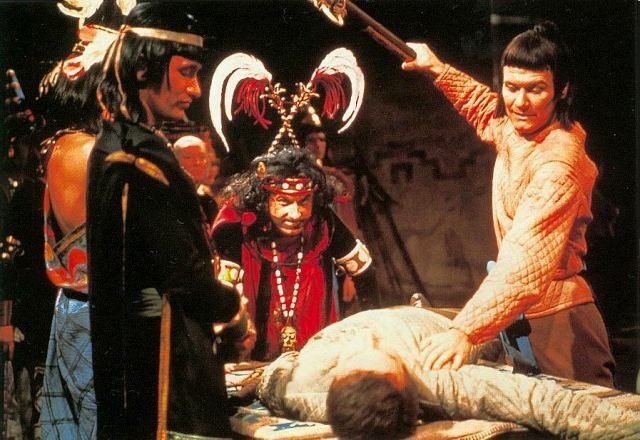 As far as the BBC is presently letting on, all that remains of Marco Polo are some stunning colour photographs taken on set and the fan recorded soundtrack. 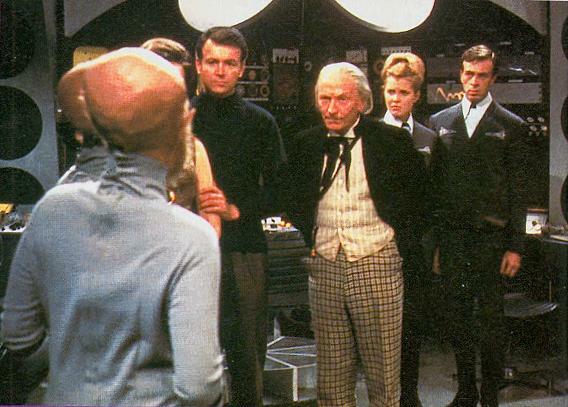 In the days prior to home video recording and commercial VHS releases, the only way that a fan could re-live a Doctor Who episode was to listen to the reel-to-reel audio recording which they’d made during the episode’s original transmission. Incredibly, around half a dozen fan recorded collections remained extant and were located during the 1980s and 1990s. 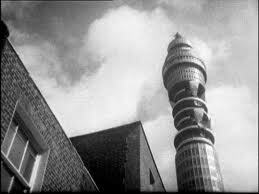 It was during those decades that fans became cognisant of the BBC’s destruction of its television heritage and went searching for what remained. 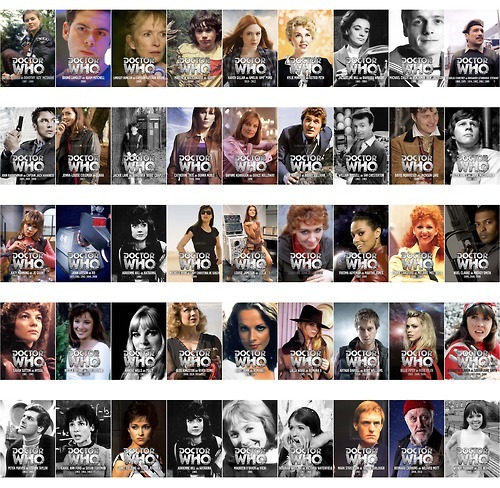 Thanks to the endeavours of a small group of hard-core fans who religiously recorded Doctor Who each Saturday evening, aficionados of Who were now able to listen to long lost episodes. Is Marco Polo really as good as fans who watched the original and only transmission remember? Certainly the audio suggests something very special. Hopefully we’ll all be able to soon judge for ourselves. 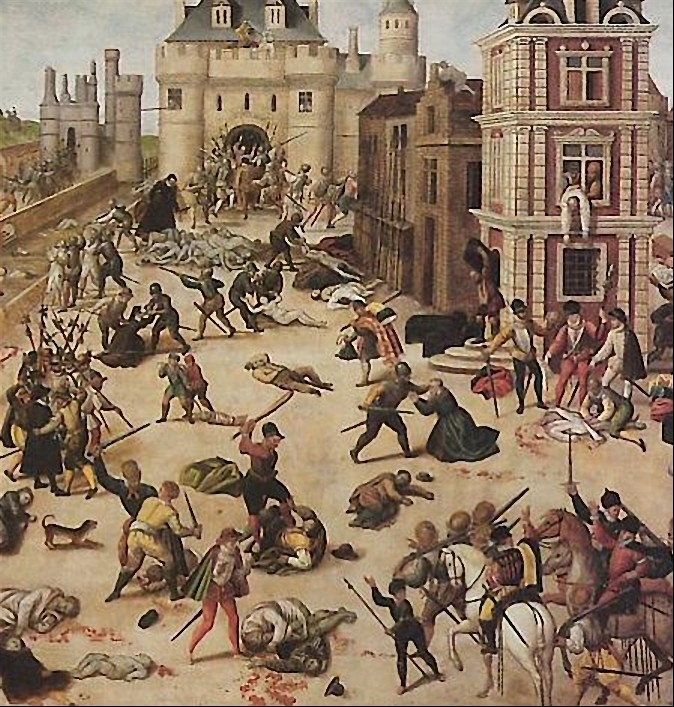 The image at the top of this post is a painting by Francois Dobois depicting the St. Bartholomew’s Day Massacre. No copyright infringement is intended. Yes, the Sherwood Schwartz created one season science fiction comedy series, It’s About Time, will forever make me type An Adventure in Time and Space. This 1966-1967 CBS show was in production at the same time as Schwartz’s more famous offering, Gilligan’s Island. It’s About Time chronicled the adventures of two astronauts that travelled faster than the speed of light and somehow found their way back to the prehistoric times. Their interactions with the locals were the constant cause of merriment. Having watched the short YouTube clip memories of my Australian childhood came flooding back as I recalled the days when we had only three TV stations. 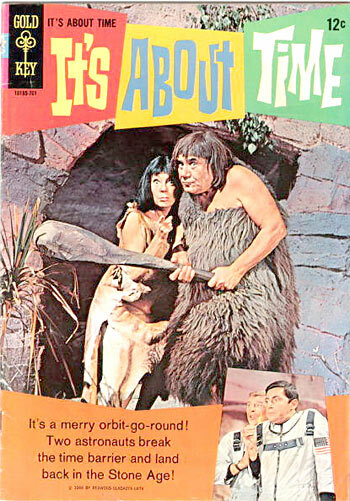 It wouldn’t have mattered that It’s About Time was filmed in wonderful “Technicolor”, because we still only had black and white TV. Colour transmission didn’t begin in Australia until 1 March 1975. Name an American children’s themed TV show of the Sixties and you can be sure that it was played ad nauseam on one of Australia’s networks. 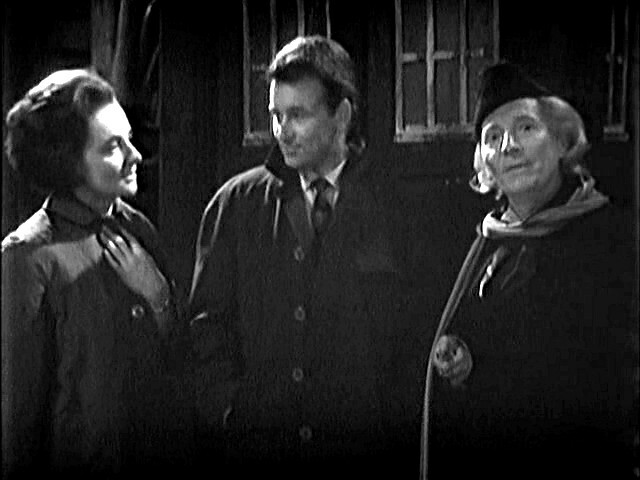 I couldn’t help but notice the similarities between episodes two, three and four of An Unearthly Child and It’s About Time. 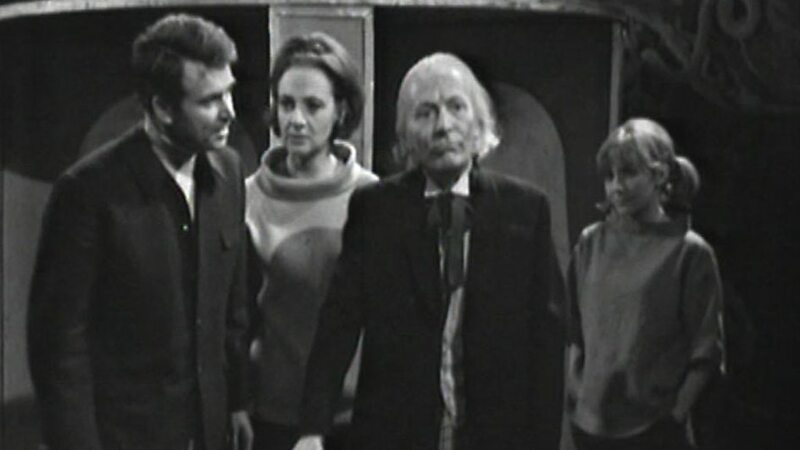 The Cave of Skulls, The Forest of Fear and The Firemaker saw the Doctor and his companions, Ian, Barbara and Susan, caught in pre-historic times and at the mercy of likes of Za, Kal, Hur and Horg. As Season One of Doctor Who was never aired in the US the likelihood of Sherwood Schwartz having seen, let alone heard, about Doctor Who is negligible. Stranger things have happened, though! 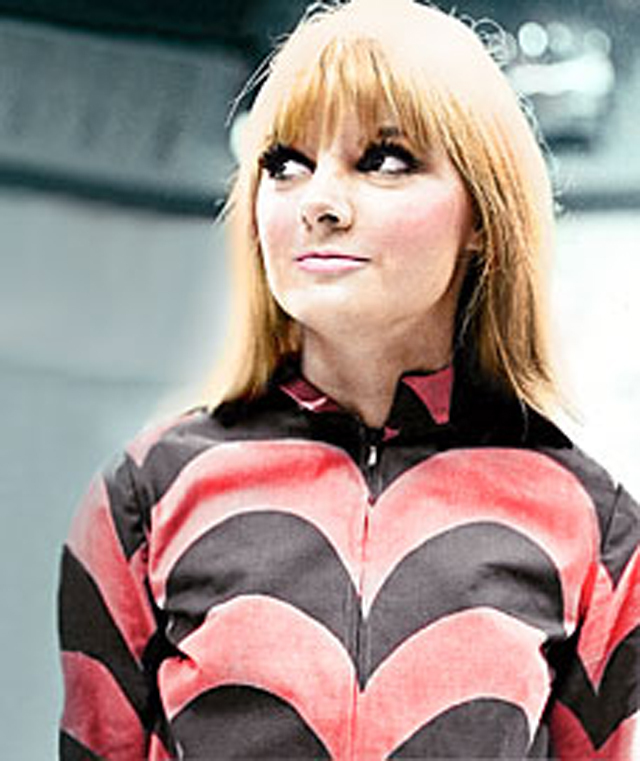 In no particular order The Doctor Who Mind Robber today presents 10 Great Companion Outfits of the Sixties. Is this the ultimate Sixties companion outfit? 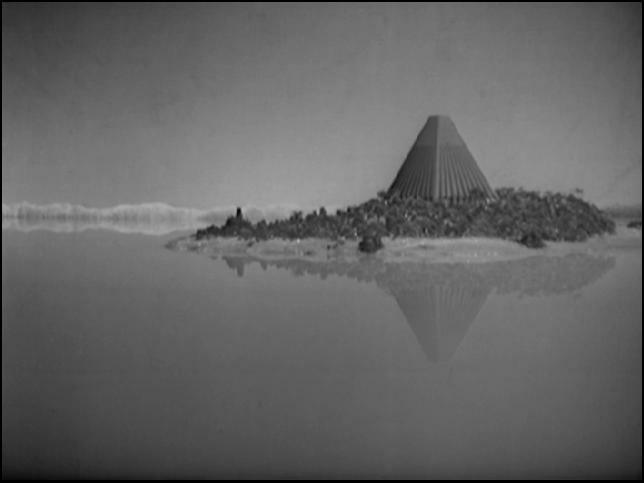 [In reference to the Conscience of Marinus]: I don’t believe that man was made to be controlled by machines. Machines can make laws, but they cannot preserve justice. Only human beings can do that. The Conscience of Marinus – a machine with the power to not only judge good and evil, but also to permeate the minds of citizens, eradicating all evil thoughts and intentions, and replacing them instead with only good and honourable deeds. [After escaping an Assassin]: Alright? Of course I’m alright, my child. You know, I am so constantly outwitting the opposition. I tend to forget the delights and satisfaction of the gentle art of fisticuffs. [Speaking to Barbara, who is masquerading as the Yetaxa]: You can’t rewrite history. Not one line! [Referring to his adventures with Ian and Barbara]: It all started out as a mild curiosity in the junkyard, and now it’s turned out to be quite a great spirit of adventure. Our lives are important — at least to us — and as we see, so we learn… Our destiny is in the stars, so let’s go and search for it. Jano: Do you not realize that all progress is based on exploitation? The Doctor: That, sir, is protracted murder! [To Ian and Barbara]: Have you ever thought what it’s like to be wanderers in the Fourth Dimension? Have you? To be exiles? Susan and I are cut off from our own planet – without friends or protection. But one day we shall get back. Yes, one day…. Barbara: We’re not idiots! We want to go home! Ian: Yes! Home! I want to sit in a pub and drink a pint of beer again! I want to walk in a park, and watch a cricket match. And above all, I want to belong somewhere, and do something! Instead of this aimless drifting around in space! 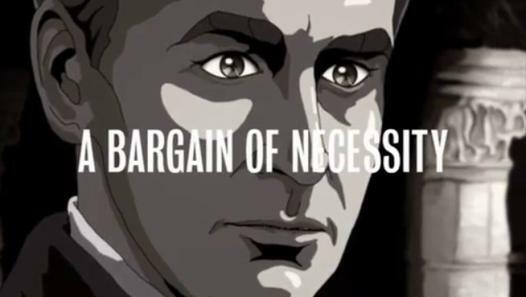 The Doctor: AIMLESS?! I tried for two years to get you both home! Ian: Well you haven’t been successful, have you? The Doctor: How dare you, young man! HOW DARE YOU, SIR! I didn’t invite you into the ship in the first place! You both thrust yourselves upon me! Barbara: OH, DOCTOR! STOP IT! The Doctor: Oh, for heaven’s sake! I’ve never heard such nonsense! Barbara: Look. I know we’ve thrust ourselves upon you! But we’ve been through a great deal since then! And all we’ve been through will remain with us always! It could be the most exciting part of my life. Look, Doctor, we’re different people. And now we have a chance to go home. We want to take that chance. Will you help us work that machine? The Doctor: …No. No! I will not aid and abet suicide! Ian: Oh, he’s as stubborn as ever! Vicki: Doctor, you’ve got let them go if they want too. They want to be back in their own time. The Doctor: Don’t you want to go with them, child? Hmm? Vicki: What for? Why would I want to be back in their time for? I want to be with you! Doctor… You’ve got to help them. The Doctor: Don’t you realise, child, of the enormous risks? Vicki: But it’s up to them! [As he prepares to leave Susan on Earth]: During all the years I’ve been taking care of you, you in return have been taking care of me. You are still my grandchild and always will be. But now, you’re a woman too. I want you to belong somewhere, to have roots of your own. With David you will be able to find those roots and live normally like any woman should do. Believe me, my dear, your future lies with David and not with a silly old buffer like me. One day, I shall come back. Yes, I shall come back. Until then, there must be no regrets, no tears, no anxieties. Just go forward in all your beliefs and prove to me that I am not mistaken in mine. Goodbye, Susan. Goodbye, my dear.